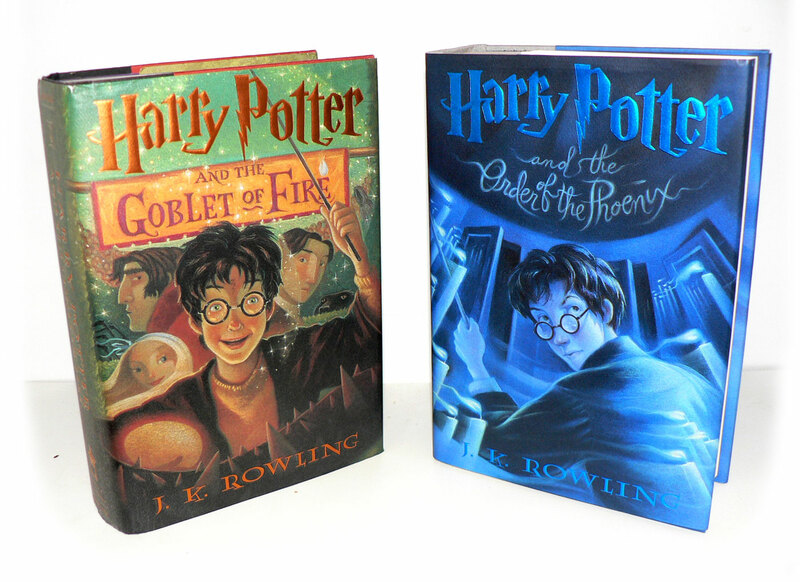 Special giveaway today, two first edition, first printings: "Harry Potter and the Goblet of Fire" and "Harry Potter and the Order of the Phoenix." On a more serious note, I'm sure many of you have heard about the record flooding in central and southern New York as well as Pennsylvania. The bookstore made it through the rain without any problems, but our family's other shop - a used furniture and antique store - did get quite a bit of water. In fact, we have been unable to get to the shop since Wednesday, as many roads in the area are either closed or washed out. We went through the same thing in 2006, and we'll be fine. Other communities in the area may not be. Just to the west of us, Sidney, NY is experiencing "catastrophic flooding." It will be a long time before the people and businesses there will return to life as normal. Sidney is also home to the Delaware Valley Humane Society, a friendly little animal shelter where I was lucky enough to meet and adopt my two dogs. Even after adopting my second dog, I make a trip down there every other weekend or so to meet the new arrivals and to give them the proceeds of my clearance sales from the store. They are good people and take good care of animals in need. I'm not sure how they are faring during this crisis, but I know that they got hit pretty hard in 2006. If you love animals and enjoy the giveaways here at Forgotten Bookmarks, think about donating a dollar or two - I'll post a PayPal donate button below. 100% of the proceeds (and proceeds from bookperdiem.com) will go to the shelter. I'll take whatever is in the account to them as soon as the roads are passable. If you don't donate here, think about donating to Southern Tier chapter of the Red Cross. Donations are ABSOLUTELY not required to enter. Thanks for reading this, and good luck on the giveaway! Amazing giveaway! Count me in! I'd like to put my name in the hat for the give away -- but also want to say thanks for remembering your animal shelter during a tough time! 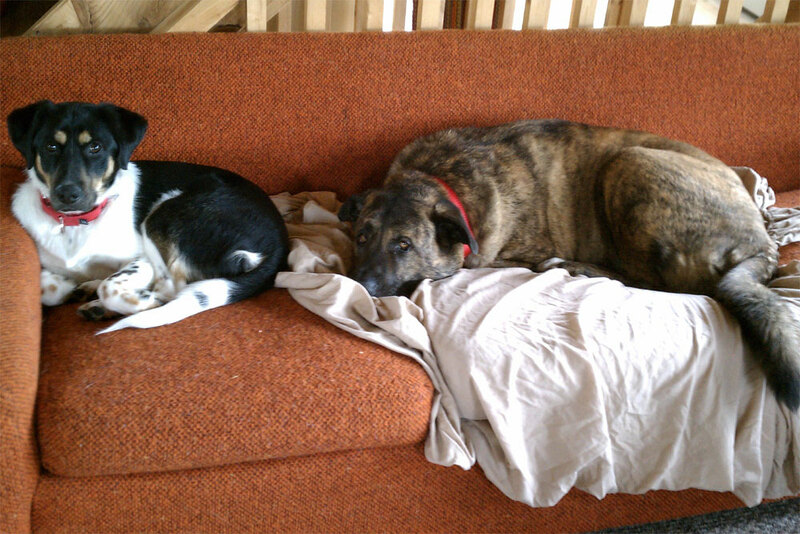 Both of your dogs are cuties. Thanks for the giveaway and best of luck on getting through the floods. I'd love to enter this giveaway--my sister would love those books. She read the books as they came out, and she grew up with Harry. I really believe Rowling contributed to my sister's current love of reading. Love JK Rowling books and also love your site. Amazing things found inside old books. Good luck with the floods! We had flooding from Irene, but not from Lee, so we were lucky (we're north of NYC). I feel so badly for those affected by the floods, including you of course. Thanks so much for the giveaway -- what a great one! You will be kept in my thoughts with the floods! Is there a spell to make something appear to be random but actually just pick me? Harry grew up with my kids. HP in hardcover. Be still my heart! Thanks so much for doing this giveaway!! Hooray for HP!! I'm in Edinburgh where Jo Rowling started writing Harry Potter so perhaps the books should come home?! This is an amazing giveaway! I'm so glad to hear your bookstore is OK, and sorry to hear about the antique shop. I hope everything turns out well for you and your family. Today is my sister's birthday .. she lives in PA and is okay with all this weather. She is a huge Harry Potter fan ... so I would love to win these and give them to her as a special gift! We also adopted our dog from a shelter ... can't say enough about that ... she is terrific. Um.....heck yes. Count me in! Thanks again for the great giveaway. Awesome giveaway! I really hope I win this one!!! Sure, those sound like they would be fun to have. Maybe luck will be with me. *GASP* My son would love this for the content; I would love this because they're first edition books. I'd like to be entered. Thanks. I would LOVE to win these two first editions! They would make the perfect Christmas gift for my son, who is a HUGE Harry Potter fan. Harry Potter!!! YES. Count me in. I hope the flood didn't do too much damage. I wish I had the magic to cure or prevent the floods - it would also be useful with the drought down here in TX. Alas, I have to make do with the magic in books . . .